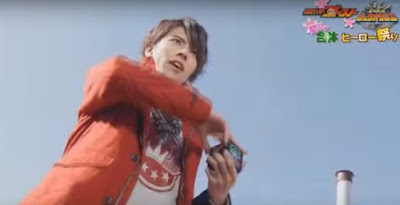 On the next episode of Kamen Rider Ghost, we will see Eyecons possessing humans, a bad guy decides to climb the other fence to check if there are any cookies, and lastly, a guy in a bird suit joins the action. Seen both next episodes. I wonder if it will be 1 hour together like last year, or its a parallel AU (Alternate universe) timeline, seeing how different they showed both.